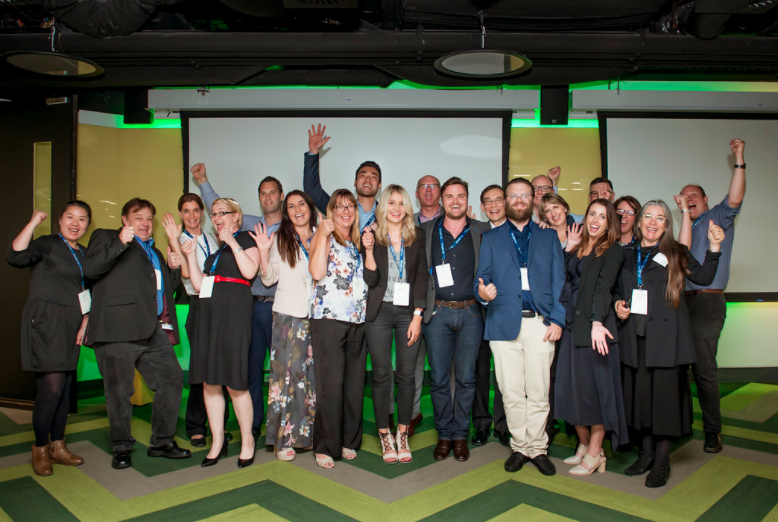 that Google Australia supported a year ago when we announced $5 million in funding through the Google.org Impact Challenge. Anna Marsden, managing director of the Great Barrier Reef Foundation, explains how they are helping to save the reef with autonomous robots. 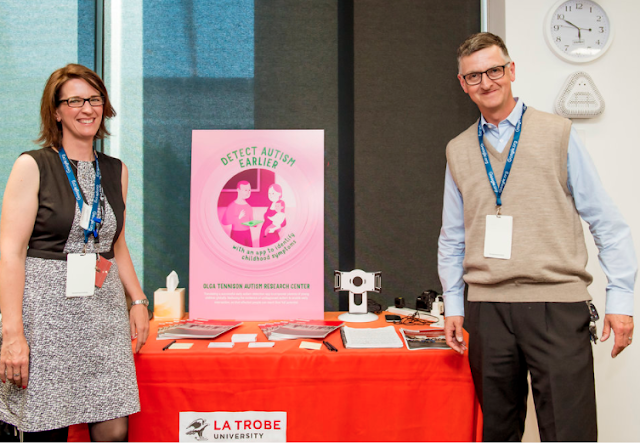 Nonprofits such as the George Institute for Global Health, which is creating an SMS-based support service to help people with chronic diseases lead healthier lives, or the Centre for Eye Research Australia, with an eyesight self-assessment system for Australians in remote areas. The Great Barrier Reef Foundation is protecting coral reef ecosystems though a low-cost, autonomous robot designed to monitor, map, manage and preserve coral reef ecosystems, while The Nature Conservancy Australia is deploying mobile technology to protect global fish stocks. This week we celebrated the work of those ten organisations in the year since we announced their funding, hearing about their progress and the milestones they have achieved. Today, we are thrilled to announce that next year we will invest even more to help tackle Australia’s toughest problems. The Olga Tennison Autism Research Centre is working on an app to help parents detect autism in their children. In 2018 we will hold Australia’s third Google Impact Challenge, with a minimum funding commitment of $5 million, inviting charities and nonprofits to propose technology-driven solutions to challenges facing our society. Working with prominent Australians to judge submissions, and inviting the public to vote on their favourite projects, we will select another 10 projects to support with funding and resources from Google. This will be the third time we have run the Google.org Impact Challenge in Australia, making us the first country outside of America to do so. We started back in 2014, supporting nonprofits such as Infoxchange and AIME, which yesterday launched its game Second Chances, designed to encourage indigenous kids to engage more with maths and science. Normally we only do an Impact Challenge once, but we have been impressed by the calibre of the ideas and the teams that came forward. The ideas in Australia are not only the best innovators all across Australia, but on par with any of the best innovation ideas we've seen globally. 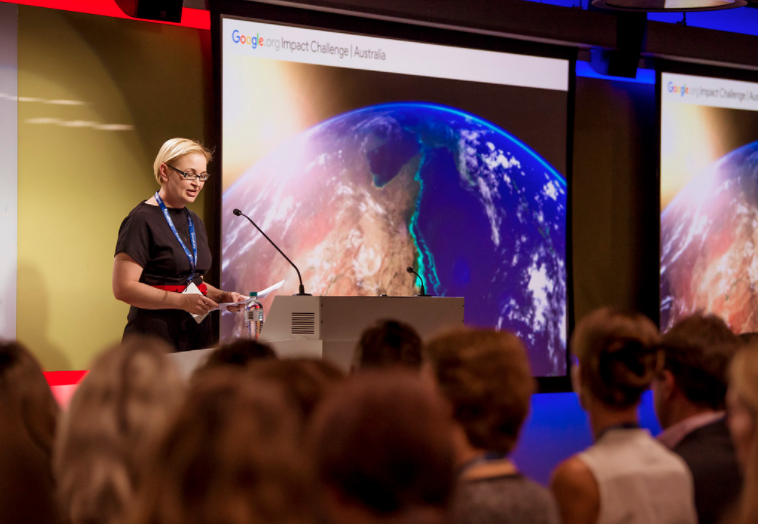 We are excited to see the new ideas that will emerge through the 2018 Google Impact Challenge, and to assist organisations with visions to use technology in addressing important causes. Representatives of the ten nonprofits that received funding in the 2016 Google.org Impact Challenge at the anniversary celebration held at Google's offices in Sydney. Google has always worked best when it helped people work on big problems in new ways. Through Google.org, we rally our philanthropy, people, and products to support nonprofits making an impact in their communities. In Australia, that commitment continues to grow. We aim to continue to assist all Australians in making creating a safer, more inclusive society for everyone. Great innovations that improve the lives of millions usually have one thing in common: they are born from an obsession with solving a specific problem. We take the same approach to our products and services at Google, focusing on the needs of our users and employing technology to make their lives easier. It’s that same fixation that also drives the ten nonprofit organisations that Google Australia supported a year ago when we announced $5 million in funding through the Google.org Impact Challenge.